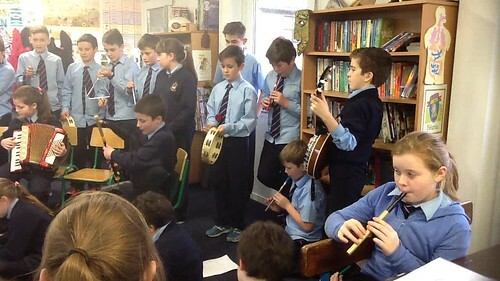 Music plays a very large role in our school. 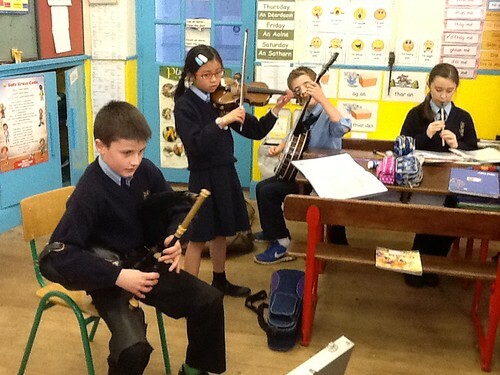 All children learn tin-whistle from 1st class up to 6th class. Many children learn other instruments outside of school and they are encouraged to bring these when we have special occasions like Masses, concerts, visits to the local Nursing Home etc. For our recent e-twinning project with Spain, we recorded instrumental pieces of the children performing Christmas Carols and sent the clips to our e-twinning partners in Alicante. 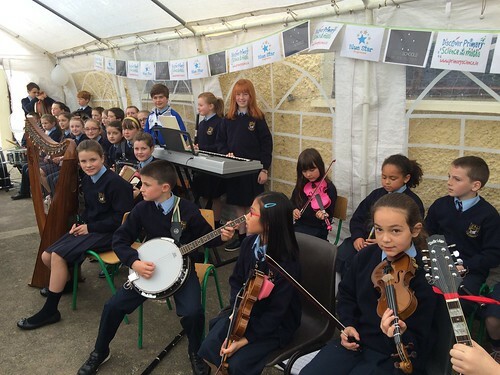 As part of our celebration on October 9th when we were officially presented with our Digital Schools of Distinction award, children from 3rd - 6th class performed a selection of tunes for the audience.